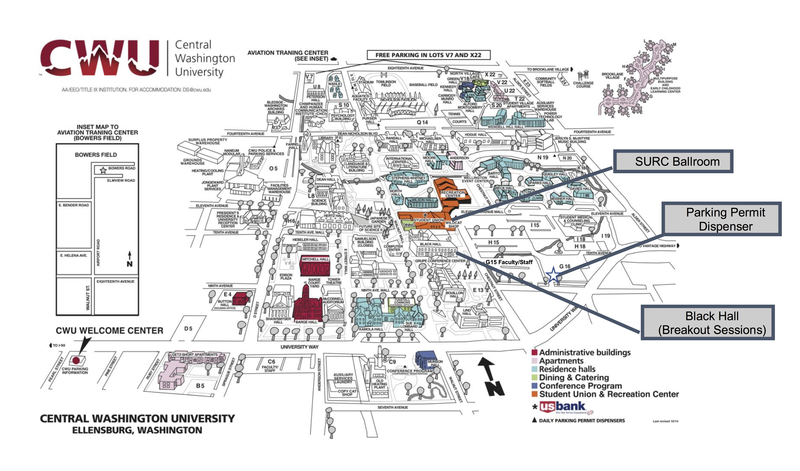 The conference sessions will be held in the Student Union and Recreation Center (SURC) building (in orange on the map below) and Black Hall (building just south of the SURC). Parking on campus can be a bit of a challenge, so be sure to allow 15-30 minutes to find a spot. Be sure to avoid G15 as this is a Faculty/Staff only lot. Please click on the map below to view in full size.